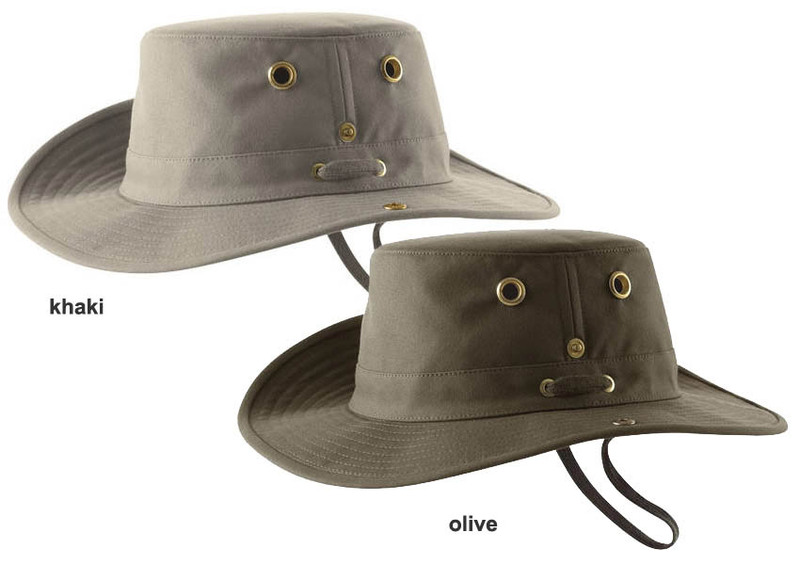 The classic T3 Tilley Hat - the original Tilley hat is sent carriage free. The Tilley T3 hat is made from cotton duck the fabric that started it all. The fabric is derived from an incredibly durable sailcloth that is still used in boating today. The Tilley T3 has a medium brim that snaps up on both sides. This isn't for decoration, it breaks the windage that tries to blow the hat off in high winds. Made from rain and mildew resistant pre-shrunk 10 oz. 100% cotton duck. The fabrics of all Tilley Hats have been certified to block 98 percent of harmful UVA/UVB radiation and deliver an ultraviolet factor (UPF) of 50+, the maximum rating given. 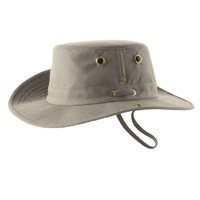 Although Tilley Hats block 98% of UV rays, some rays COULD enter through the ventilation grommets. Each Tilley hat is hand-sew using very strong thread; all seams are lock-stitched so they won't unravel. The brass is from Britain and is the best there is. All Hats are made with such care and dedication that one is as good as another.